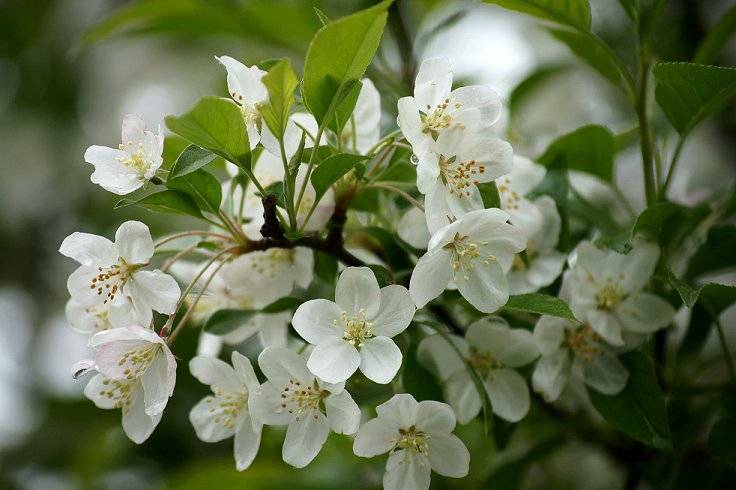 Several years ago I received some small trees from one of the adds support the arbor day foundation and receive so many little flowering ornamental trees. There was dogwood, red bud, flowering crab, and I can't remember what else. This tree is grown and it's not very tall, and it looks to be some kind of cherry that grows on it, it's not a very big cherry if that is what it is, but it is red. It is in bloom now and I wondered if anyone recognized it from the blooms.